2018 BMW R 1200 R Sport. Picture credits - BMW. Submit more pictures. The upside-down telescopic fork highlights its dynamic exterior and ensures stability and precise handling. Whereas the superior twin-cylinder boxer engine with 92 kW (125 HP) confidently spurs on this powerful package. Optionally, Dynamic ESA will increase the riding dynamics and the Pro shift assistant and Pro riding modes with DTC show that is behind the puristic appearance: Roadster feeling in perfection. Comments: Switchable ABS. Riding Modes Pro with DTC. 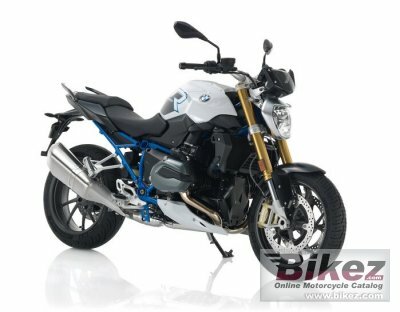 Ask questions Join the 18 BMW R 1200 R Sport discussion group or the general BMW discussion group. Bikez.biz has an efficient motorcycle classifieds. Ads are free. Click here to sell a used 2018 BMW R 1200 R Sport or advertise any other MC for sale. You can list all 2018 BMW R 1200 R Sport available and also sign up for e-mail notification when such bikes are advertised in the future. Bikez has a high number of users looking for used bikes. Before you buy this bike, you should view the list of related motorbikes Compare technical specs. Look at photos. And check out the rating of the bike's engine performance, repair costs, etc.